Whether we're in a sales meeting or making small talk about our careers, the most frequently asked question is, “What is the difference between a living wall and a moss wall?” Before we dig into the answer, let's get one thing straight-- the differences between living and moss walls do not make one superior to the other. Both types of plant walls have unique characteristics and dance to the beat of their own drum... and boy, the rhythm is right! Living walls are alive. They require appropriate lighting, watering and pruning on a regular basis. Moss walls are preserved with natural glycerin and require little to no maintenance. We offer living wall systems that can be hand watered like your common houseplant, and walls with built-in irrigation systems that operate with automatic timers. There is no one-size-fits-all approach to a living wall. We take light measurements of your space for proper plant placement, recommend plants that thrive in the given temperature, and do maintenance if a wall owner wants to take out any of the guess work. Still Confused? It’s like your garden, but vertical. If you want a moss wall, you never have to see us again! Our pieces do not require water, light or maintenance. Therefore, they are a good fit for a space without daylight, like a trade show or a low-lit office. We preserve the moss using non-toxic, vegetable glycerin and secure it directly to sturdy material. You may need to dust the moss, but if you’re outdoorsy like us, the rest of our place likely needs a good dusting too! Lost ya? Think artwork, but with plants, not paint.How long do they last? With ideal conditions, the industry estimate (and we agree), is that they will last four years and beyond. Since living walls are vertical gardens, they can last indoors or outdoors as long as the conditions of the wall, potting materials and the natural elements of their environment allow. Some climates, like California, are ideal for vertical gardens. Living walls should not be confused with a green facade, which is when plants with root structures in the ground, like ivy, climb up a building wall or fence on their own. Living walls can be attached with supporting structures to the side of a building or a free standing wall. Not only are they ascetically pleasing, they are used for growing herbs and flowers, reducing temperatures, pollution and the stresses of everyday life. Living walls change slightly over time, giving you a new look as the life cycle evolves. They help the planet by reusing grey water. They make an epic home for birds and insects and are proven to increase property value. Our moss walls use real, sustainably harvested moss, ferns, flowers and other vegetation. The preservation process allows the plants to keep their natural color and texture, so you can count on the moss plant painting to have a consistent impact on your space. Unlike living walls, moss walls will never release pollen or spores, but they also reduce stress and add aesthetic value to real estate. We secure every plant by hand as it's more like building with plants than it is gardening. Who is more likely to select one over the other? 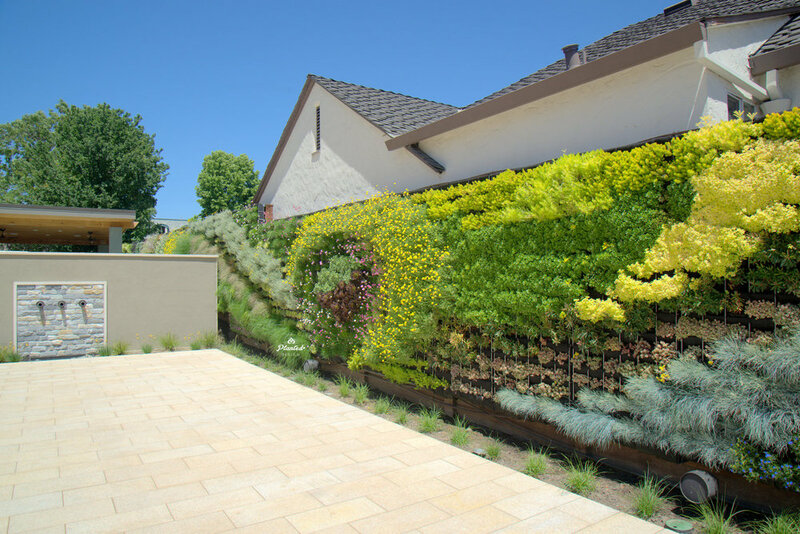 Living Walls are appealing for 1. homeowners with good natural light and an available wall, who value clean air over the intimidation of a little pruning or 2. visitor-driven institutions like the San Francisco Zoo that like to "wow" guests and have a mission that lends itself to regenerative design. Moss walls makes sense for 1. tech companies like IBM that have demanding hours and may need to break out of a trade show rut or 2. style-based office spaces like Poshmark where the employees excel in design-forward environments. We hope these facts have made the world of plant walls a bit more inviting. Plants have clear properties and simple needs, which just like humans, are mostly a little care and no unwanted pressure.